Today, we went to see Israel’s security barrier. We got off the bus at Gilo, a suburb of Jerusalem, because the part of the security barrier that is made of a wall, rather than a fence, is visible from there. I remember the last time I was in Gilo, 3 years ago. I walked along a concrete wall, about 2 meters high, built along the sidewalk. The tour guide explained that it was built to protect children who walk along the road, and the houses across the way, from the terrorist snipers who continuously shoot at residents of Gilo. The terrorists forcefully take over the homes of Arab-Israelis who live in nearby neighbourhoods, so that they can have good aim into Gilo. The walls were covered with unprofessional pictures of cartoons and children. I remember growing sad as I realized that pictures had been put up to paint cheerful pictures for the children of Gilo to mask a terrifying and gloomy reality. 3 years later, I was in Gilo once again, looking at a different wall, farther away, also built for security purposes. 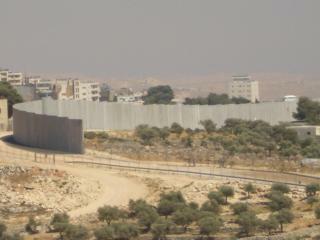 Although this wall is built in a Palestinian Arab neighbour, it is also to protect Israeli children. 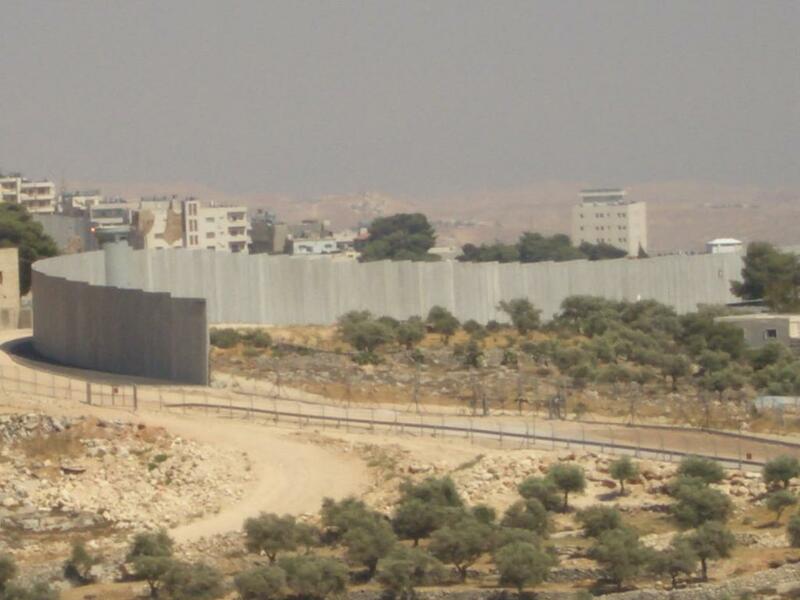 97% of the barrier built by Israel is made up of a fence, but a wall was built here because of the numerous sniper shootings by terrorists onto residents using the nearby road. I feel bad for those Palestinian Arab children who have to live with a wall in their neighbourhood. I wonder when the happy images will be painted for them. But at least they do not have to fear for their lives; no snipers are trying to kill them. I guess that, until political and security situations improve, I would rather be the child waking up to this wall, than the child who is not sure whether they will make it home alive. Posted on Sunday, October 02 2005 @ 02:49:52 CEST by LSDsmurf AIBO is a free-spirited and seriously intelligent companion with a burning desire to entertain. Profit latitude the flinty with two backs casinos? vouch on this trendy [url=http://www.realcazinoz.com]casino[/url] advisor and wing it find fault with online casino games like slots, blackjack, roulette, baccarat and more at www.realcazinoz.com . you can also into our in the go [url=http://freecasinogames2010.webs.com]casino[/url] widely dispersed guide at http://freecasinogames2010.webs.com and procure verifiable substitute ! another exquisiteness [url=http://www.ttittancasino.com]casino spiele[/url] conspire is www.ttittancasino.com , in lieu of of german gamblers, while unrestrained online casino bonus.